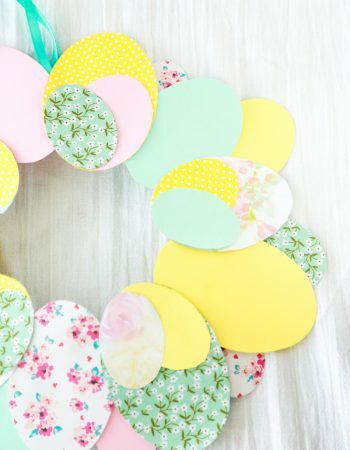 We love celebrating holidays around here with fun + simple crafts. 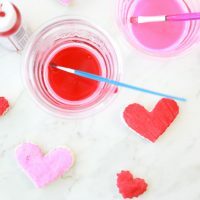 These super easy to make Salt Dough Hearts are a perfect Valentine’s craft you and your children can make together to celebrate the holiday. I learned very early on when crafting with my children that they like to be super involved. 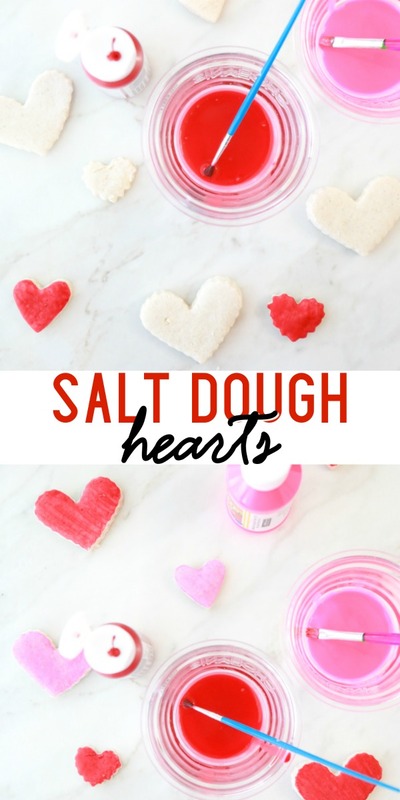 With these Salt Dough Hearts they can be as involved as you feel comfortable with. Since this craft does require the use of the oven, we do recommend that there be parental supervision at all times. Salt dough is a dough made from 3 staple pantry ingredients that can be baked to make ornaments, jewelry, bowls, keepstakes, etc. It’s such a versatile dough in the craft world and can be used in so many different ways. 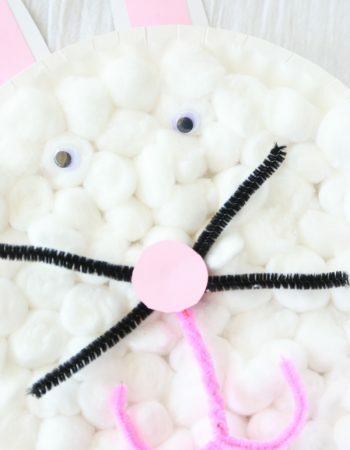 In honor of Valentine’s Day, we’re dedicating this salt dough craft to these adorable Salt Dough Hearts. 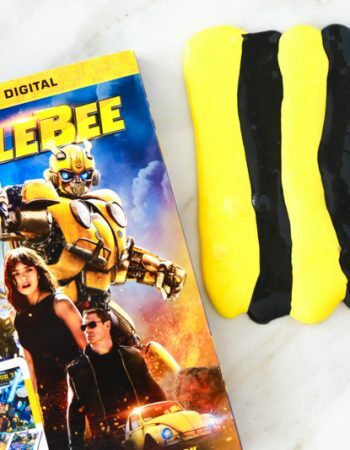 They can be used in different ways to celebrate Valentine’s Day. You could stick a magnet on the back to make heart magnets or they could be tossed together in a glass jar for Valentine’s decor. 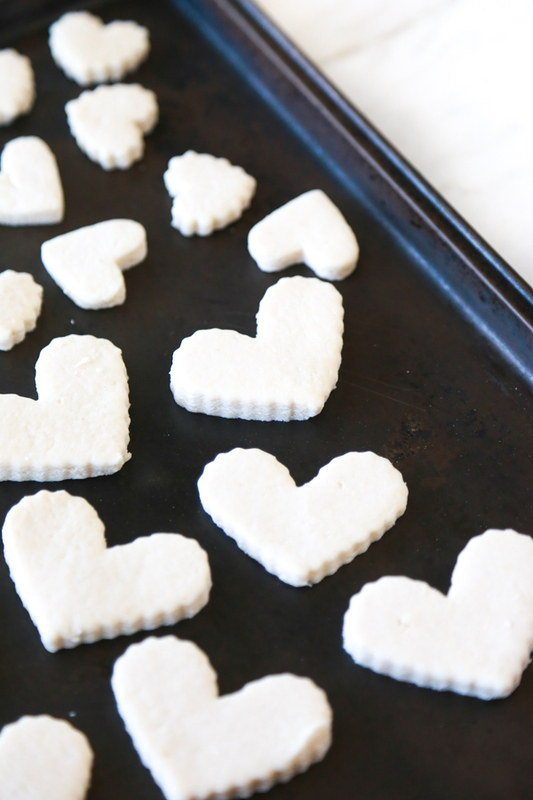 To make these adorable Salt Dough Hearts you’ll only need three ingredients. 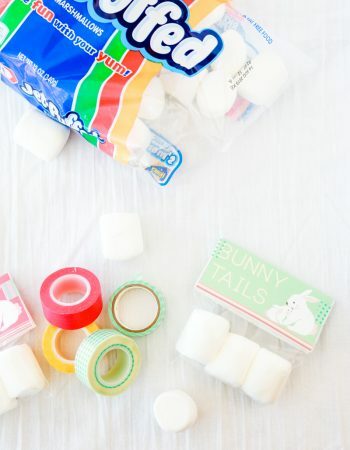 If you want, you can use Mod Podge or a clear glaze over the tops to make them last for years to come. Scroll down for a printable tutorial card. Start by preheating your oven to 200° F. In a large mixing bowl, combine flour, salt and water, then stir until all the ingredients are combined. Next, pour the flour mixture out onto a hard surface and knead for about 5 minutes or until your mixture is smooth. If your dough happens to be a little too dry, add just a bit of water and knead again until smooth. 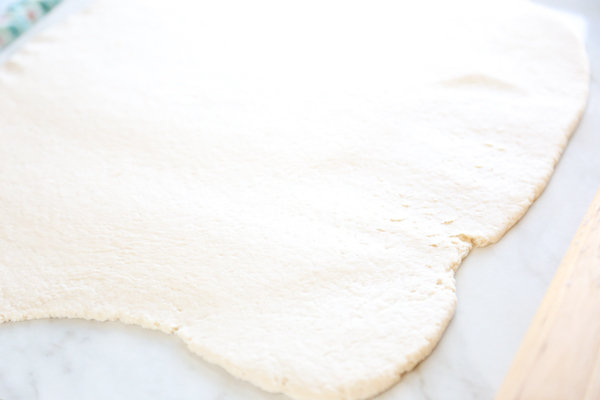 On a flat surface, roll out the dough using a roller to whatever thickness you want. Note: The thicker you make the dough, the longer it will need in the oven to dry out. Then, using a heart cookie cutter, cut out multiple hearts until you have used up all the dough. Carefully remove the hearts from the dough and set on a baking sheet. Tip: Feel free to re-roll the remaining dough and cut out more hearts, repeating the process until you don’t have anymore dough to use. Put the baking sheet into the oven and bake for about 1 – 2 hours, depending on the thickness of your hearts. If the hearts are still soft to the touch, put the pan back into the oven and cook for an additional hour. You can also let the salt dough hearts sit out on the counter for a few days to harden if you desire. Once the hearts are done baking, remove the baking sheet from the oven and allow to cool before removing from the baking sheet. Transfer the salt dough hearts to a hard flat surface lined with newspaper or similar paper to protect the surface before painting. Put a small amount of acrylic paint into a small bowl and thin out with just a little bit of water. Stir using a paintbrush to get a smooth consistency. 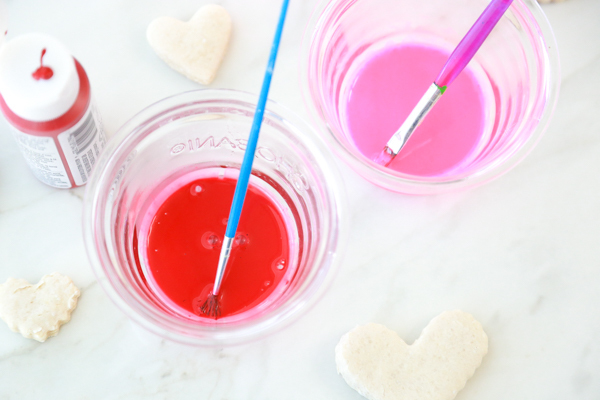 Using the same paintbrush, carefully paint each salt dough heart with the thinned out paint. Set painted hearts aside to dry. Once dry you can finish with Mod Podge or a clear glaze, but this step is completely optional. 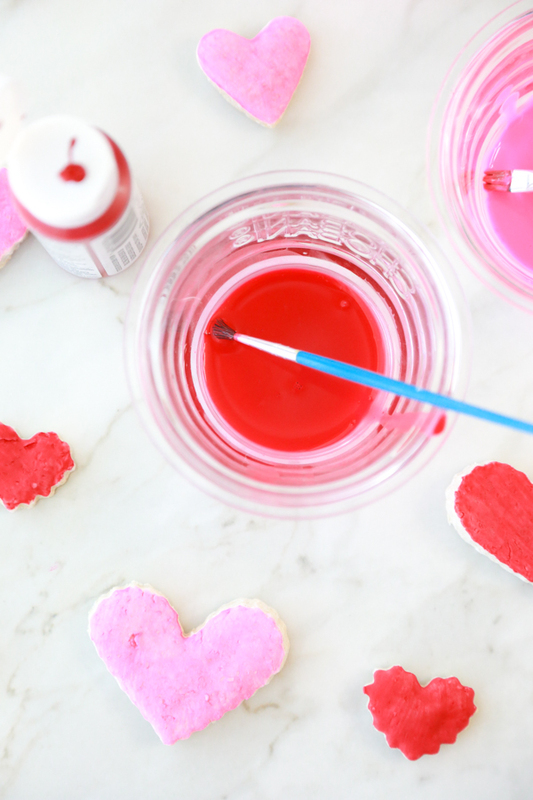 The great thing about this super easy Valentine craft is that it’s really hard to mess up. 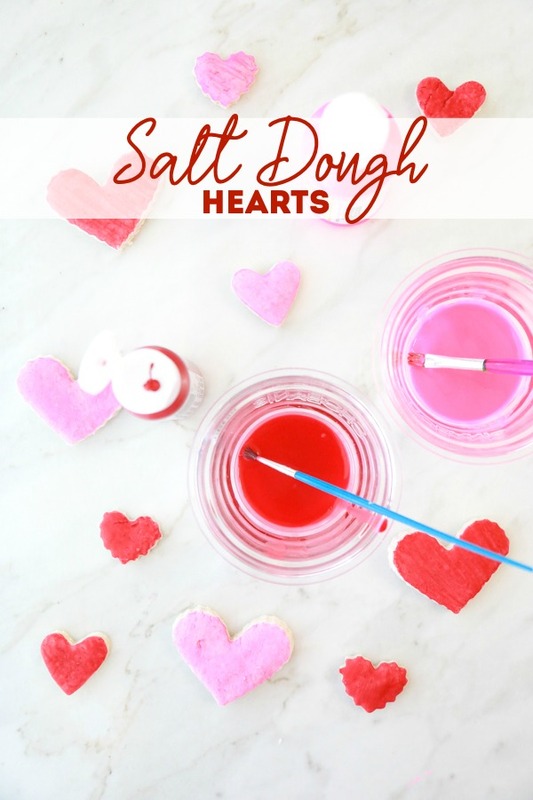 Because this is a project that is based on personal preference, you can make these Salt Dough Hearts look however you want. And honestly, the recipe is really hard to mess up. Even if you don’t get the measurements exactly right, it’s easy to fix the dough, either by adding more water or adding more flour. If you have a Valentine’s tree (which I don’t but I totally want one!) you could also turn these Salt Dough Hearts into Salt Dough Heart Ornaments for the tree. 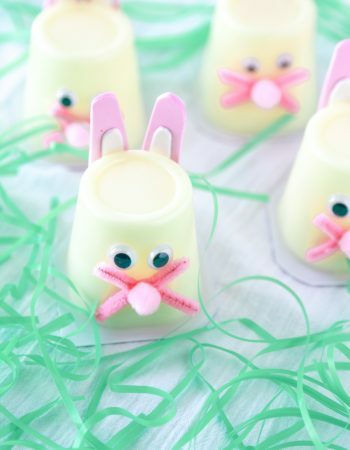 To do that, simply use a straw to create a hole in the top of each heart before baking. Then when they’re done, use twine or ribbon through the hole to create an ornament. Don’t forget to pin these Salt Dough Ornaments to one of your favorite Pinterest boards. 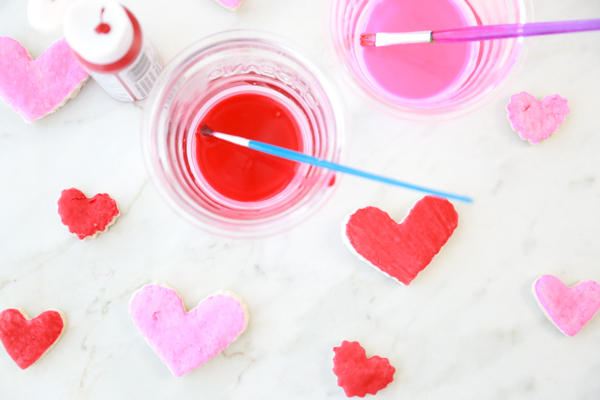 Get your Valentine craft on with these super cute Salt Dough Hearts. Preheat oven to 200° F. In a large mixing bowl, combine flour, salt and water, then stir until all the ingredients are combined. 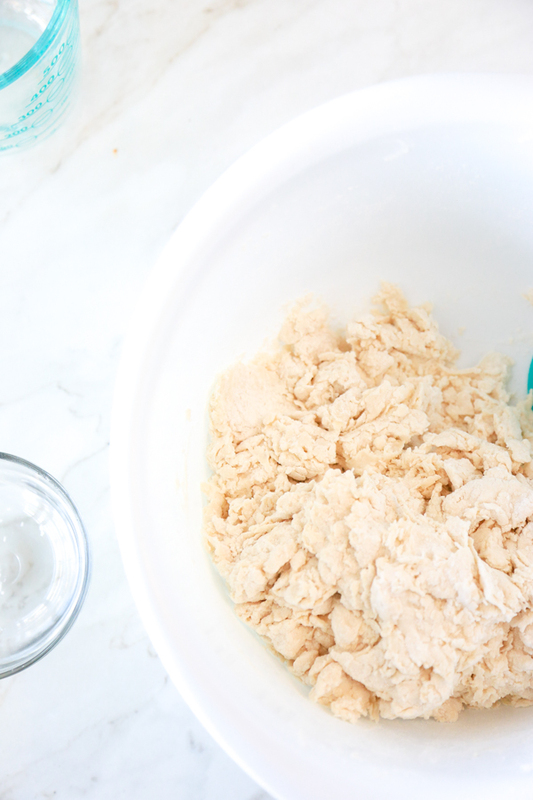 Pour mixture out onto a hard surface and knead for about 5 minutes or until your mixture is smooth. If your dough happens to be too dry, add just a little bit of water and knead again. On the flat surface, roll out the dough to whatever thickness you want. The thicker the dough, the longer it will need in the oven to dry out. 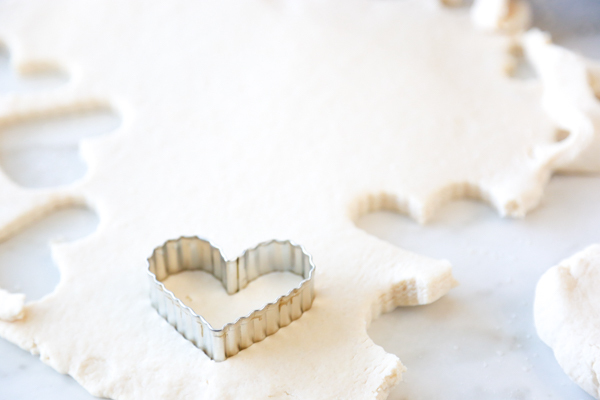 Using a heart cookie cutter, cut out multiple hearts until you have used all the dough. Remove the hearts from dough and set on a baking sheet. Feel free to re-roll the remaining dough, roll out again and cut more hearts, repeating the process until you don't have anymore dough. Put the baking sheet into the oven and bake for about 1 - 2 hours, depending on the thickness of your hearts. If the hearts are still soft to the touch, put back into the oven and cook for an additional hour. You can also let the salt dough hearts sit out on the counter for a few days to harden. Once the hearts are done baking, remove from the oven and allow to cool before removing from the baking sheet. 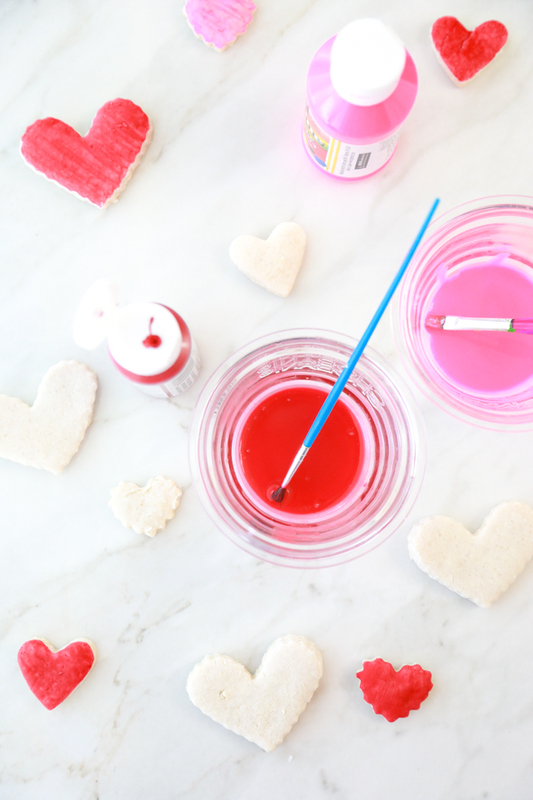 Using the same paintbrush, carefully paint each salt dough heart with the thinned out paint. Set painted hearts aside to dry. You can finish with ModPodge or a clear glaze when done but this step is completely optional. Don't use coarse salt. It's best to use cheap table salt for this Valentine's craft.